Now available on the AppStore for only 6,99$ / 7,99 €. Abylight Studios is proud to announce that the acclaimed space shooter by Locomalito & Gryzor87, Super Hydorah, arrives today on the AppStore! Super Hydorah for iOS will surprise for its gameplay and adaptable controls for all kind of players! Full localization to more languages: Chinese (simplified), Russian, Turkish, German, French, Italian, Spanish and Japanese. This installment offers to all the players the opportunity to save the galaxy in this intense shoot’em up anywhere, anytime! This version reaches unprecedented levels in devices with its own thoughtful tweaks: adapting controls to touch screens and adding new difficulty levels. The player won’t have to worry about the controls and the difficulty of playing on a touch screen, both have been optimized in order to provide a smooth gaming experience thanks to the relevant modifications. For further information, check PressKit. 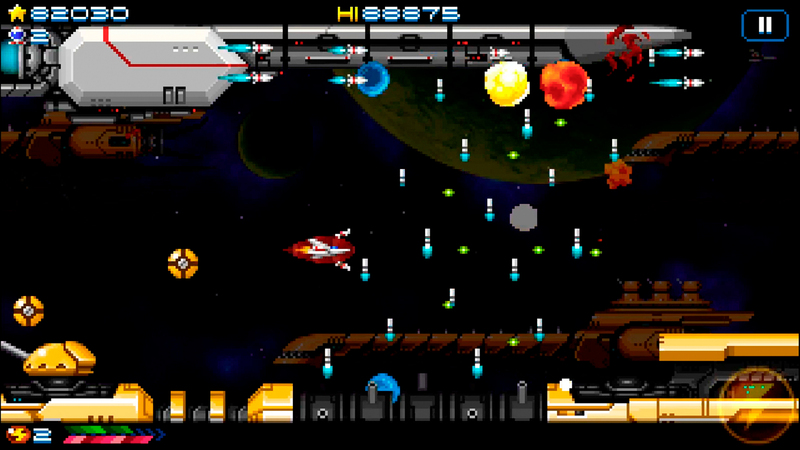 Tags: arcade, Gryzor87, Locomalito, mobile, SHMUP, shoot'em up.